What is it with the crazy narrators? 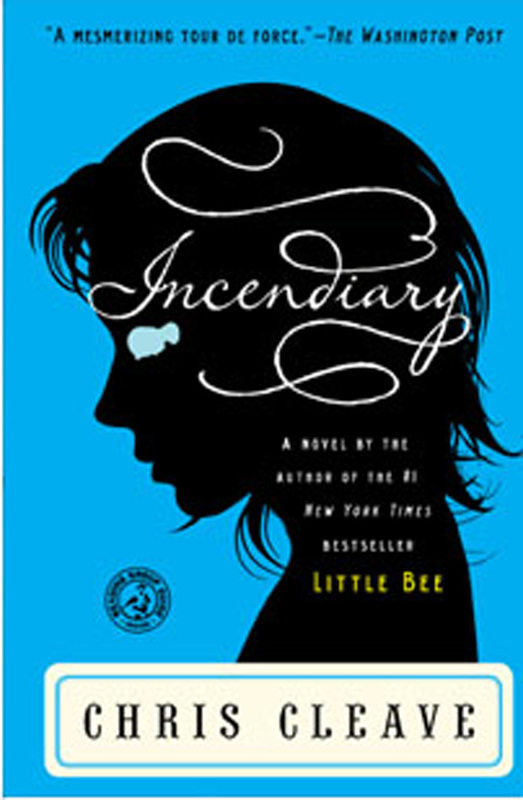 I loved Chris Cleave’s Little Bee so much that when I passed by the audio version of his earlier novel, Incendiary, at the library, I had to pick it up. Again, off the bat I was struck with Cleave’s ability to form metaphor. Incendiary is the story of a woman who’s husband and child are killed in a 9-11-like attack in London, only it is the best attended soccer match between the most popular rivals. Afterward, she begins a series of letters to Osama bin Laden. Early on she invites Osama to put his fingers in the whole he has left in her heart, to let his fingers glide across the sharp edges there. (From memory, so pardon any mistakes.) But Cleave’s language is just beautiful and spot on for how I would assume a woman would feel in her place. Complicating her feelings is the fact that as she watched the attack on the soccer stadium, she was in the throws of passion with a man she had just recently met at a bar, Jasper Black. And so the narrative unfolds in the events that happen as a result of the national and personal tragedy. However, as the narrative unfolds, so does the narrator’s mental state, so that what could seem too heavy a story is more aptly described as dark comedy. This is one that I enjoyed right up until the end, but here I would have rather Cleave practiced a bit more restraint so as to not permit the comedic to fall into absurdity, thereby allowing his narrator to retain a bit of appreciation and respect. Cleave himself said this about Incendiary: “…when it was finished I suspected that Incendiary was too provocative, too vernacular, too sexually charged, and just too downright weird to be published.” But we’re glad it was published, and to some acclaim as well. And, if you feel this is the best book you’ve never heard of, you may be right. It debuted the same day as the attack on the London Underground, and so all promotions were halted. However, with the popularity of Little Bee, many fans (including myself) are being reminded of his solid debut. And while Cleave’s narrator seems to have a reason to have lost her mind, Alice Sebold’s lead Helen has little excuse for murdering her mother. So begins The Almost Moon. This is another that I picked up because I loved the author’s other work. 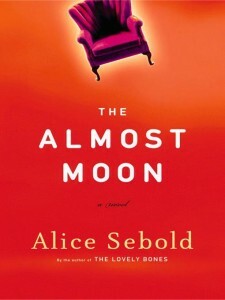 Well known for The Lovely Bones, Sebold doesn’t shy from hard topics. In this work, Sebold weaves the events of the 24 hours after Helen kills her elderly mother into the story of years of extreme emotional abuse at the hands of a mentally ill caregiver. Helen’s mother, agoraphobic and extremely depressed, raises her only child and daughter with the guilt of having lost her career as a beautiful underwear model for domesticity. As an adult, Helen realizes her father, too, had issues and faces her own part in covering up his obvious suicide as an accidental death. There are no doubts that any adult with this childhood is going to have issues. And the characters Sebold has created as Helen is growing up are incredibly interesting in their complexity. However, Helen is an adult. With a failed marriage of her own and two grown children, Helen has had plenty of time to deal with her past, making little chance for sympathy at this point. Some critics have called The Almost Moon “dirty realism” to which I shake my head. The story Sebold has told is better left to the 6 o’clock news. I would have liked this one better had an element of mercy-killing let the act remain more ambiguous. Helen is a memorable character and the story kept my attention, but this is one I’d have to say I almost liked. Adding Incendiary to my list. I may be the only person on earth who hasn’t read Little Bee. I might change my mind after reading this review. You have to read Little Bee… and read it first. I’m afraid if you get freaked out over Incendiary, you won’t read it & it isn’t nearly as disturbing.